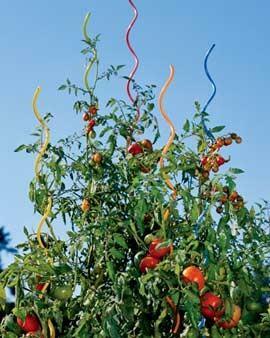 Check out some of these ways to make your garden even prettier! So I was very inspired by one of the photos that was sent to me by Caroline Lewis of Verdura. It had these cool rainbow spiral plant stakes from Gardener's Supply Company, that just added a little bit of height to her vegetable gardens, as well as a little bit of sass! I really really can't STAND yucky white plant markers. Sorry had to vent. They just look like trash in your garden after a while. 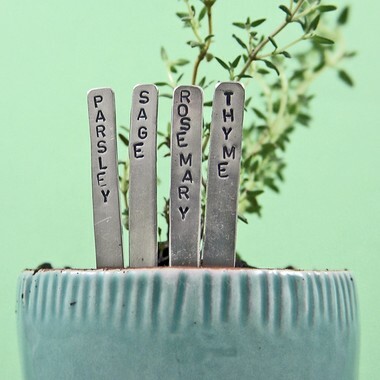 So here are some more plant stakes and markers that are funny or pretty that I found trolling all over (mostly at etsy) and found some very practical ones, as well as some not so practical. 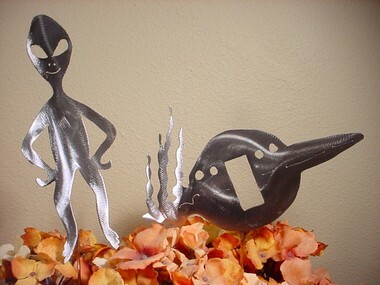 The UFO alien ones crack me up. 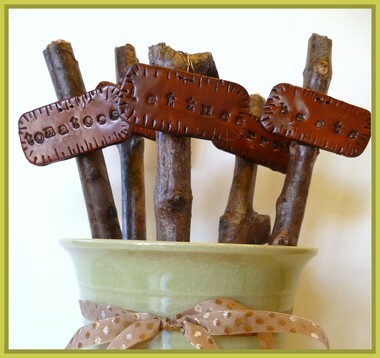 The willow trellises are from Gardner's Supply Company, the Herb Garden Plant Markers can be found here, and the rustic plant identification markers are also over at the beloved etsy. If anyone has any they would like to add just contact me and I would love to check them out! I loved those Rainbow Spiral Plant Supports so much that I went and found them at Amazon from Gardener&#x27;s Supply; $37 bucks. <br/> <br/>I don&#x27;t love them THAT much. LOL <br/> <br/>I agree; folks can go overboard with garden &quot;stuff&quot;. Best used sparingly for a touch of whimsy! So glad you found them! A sweet friend gave me some new RED tomato supports this year. The color does jazz up the garden. 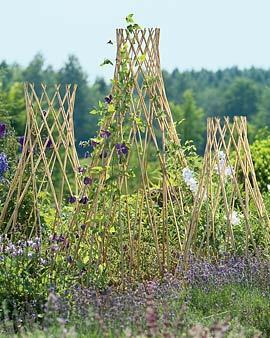 Oh, every time I see those spirals, I really want to have them in the garden. How cool. Love the etsy designs too. Nice selection! I especially like the colorful, curvy stakes. I&#x27;m with you on the tackiness of the white plastic garden markers, so I appreciate the options that you&#x27;ve shared above. Who could have guessed that markers could be so decorative. Thank you for sharing this information and the related photos. I always get so depressed when they are just strewn all over the garden like trash- love how etsy has so many artists to come up with inventive ways to make your garden pretty. Awesome! Hope I can find some of these items here in S.A. I am sure you can find the rainbow stakes there- don't you love them? And if you go on etsy.com you can find anything! It is a great site as everything is handmade by local artists all over the world!